This is a 20" Bicycle tire with an "Brick" tread pattern. Tire size is 20 x 1.75. Please note that bicycle tire & wheel sizes are measured by the OD of the mounted tire, NOT the rim. 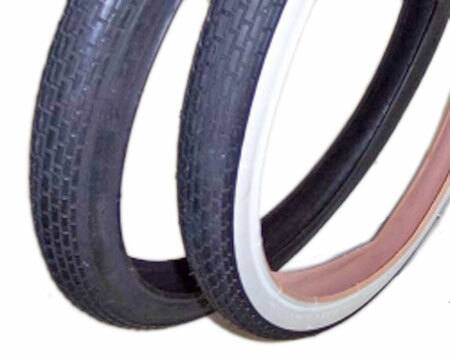 (example: 20" bike rim measures approx. 16.5" OD) Choice of whitewall or blackwall.